PST LIVE AT COLLINGWOODSTOCK! 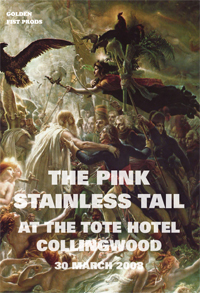 On 30 March 2007 the PST celebrated the occasion of the launch of their third record “The Infinite Wisdom of the Pink Stainless Tail” in grand style. 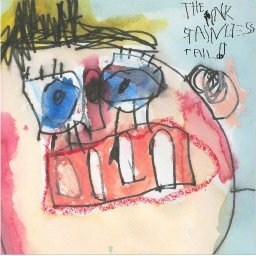 This may well be the only full length show from the legendary heyday of Tote under the tenure of Bruce Milne, filmed by Melbourne film-maker Aaron Goldberg in one ninety minute take like Russian Ark only funnier and not as Russian or arky.